I’m happy to announce that my book, “Pod Castaway: My Search for Podcasting Fame and Fortune,” made it to BookAuthority’s Best Podcasting Books of All Time. BookAuthority collects and ranks the best books in the world, and it is a great honor to get this kind of recognition. The book is available for purchase on Amazon. Admit it—most meetings you attend are terrible, for several reasons. One, they are too long (there’s no app to fix that yet!). Two, there’s no clear agenda. And three, there’s no good summary of what was discussed and what should happen next. 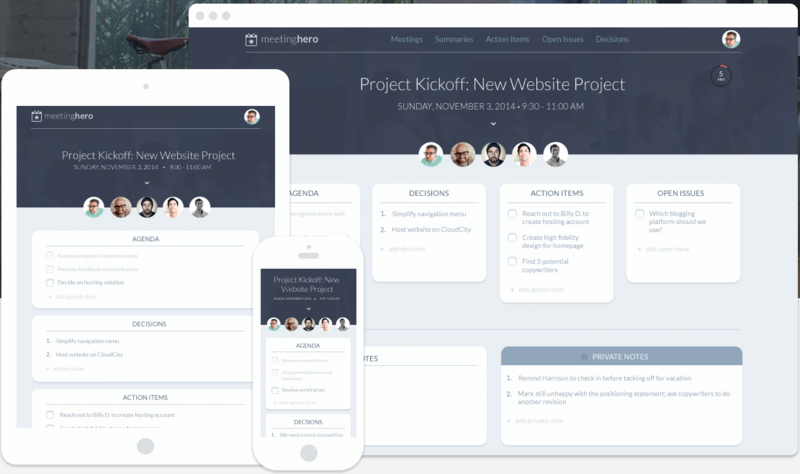 WorkLife (formerly MeetingHero) aims to make meetings more productive, with collaborative tools to help get everyone on the same page. Using WorkLife, you can sync your meetings from Google Calendar (other calendars are coming soon). Here’s where it gets cool: every meeting now gets its own “Work Room,” where attendees you invite can access and add to key items such as an Agenda, Decisions, Action Items, Notes, Private Notes and Open Issues. 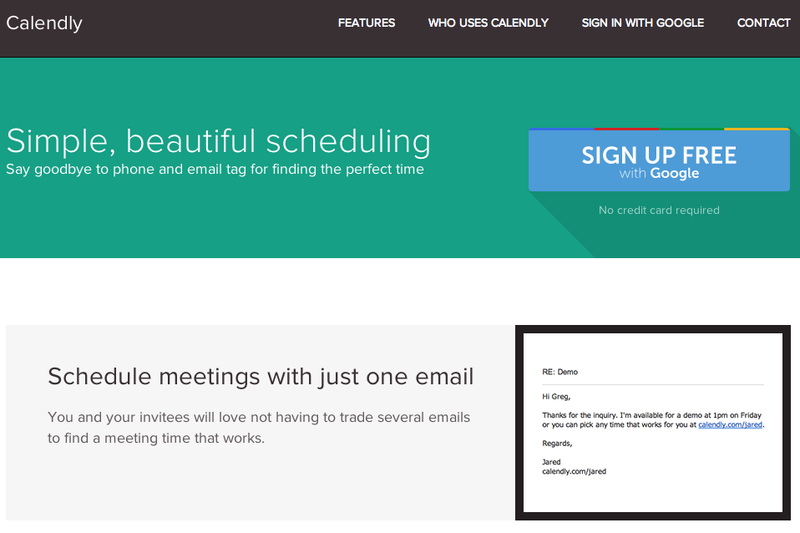 You can set it to automatically send all attendees the agenda 15 minutes before the meeting. During meetings, take notes on your laptop, smartphone or tablet. After meetings end, you can send a summary to everyone by email, post to Google Drive or Slack*, or copy everything to your clipboard. If more people used WorkLife, meetings would (hopefully) be a lot more productive and efficient. * P.S. Want to dig deeper into Slack? Join my growing Learn Slack team at www.learnslack.com. If you need a shared calendar for your company, a client or group, Teamup Calendar is a great option. It is different from other calendar systems, with no one required to have a user account. It also offers a simple way to share multiple calendars with a single “secret” link. How simple is the “onboarding” process for your website? Does it turn your new users into raving fans, or cause them to post nasty rants about you on Twitter? Learn the onboarding process used by some of the best websites and apps with User Onboarding. The site features a number of “teardowns” (step-by-step breakdowns of the signup process) of notable sites such as Basecamp, Netflix and Pinterest. Yes, it is easy to make fun of hashtags. However, they are everywhere and can be useful to keep tabs on topics that matter to you and your business. Tagboard is an central “hashtag hub” that searches for hashtags across Twitter, Instagram, Facebook, Vine and Google+ and App.net. With an account, you can define hashtags. 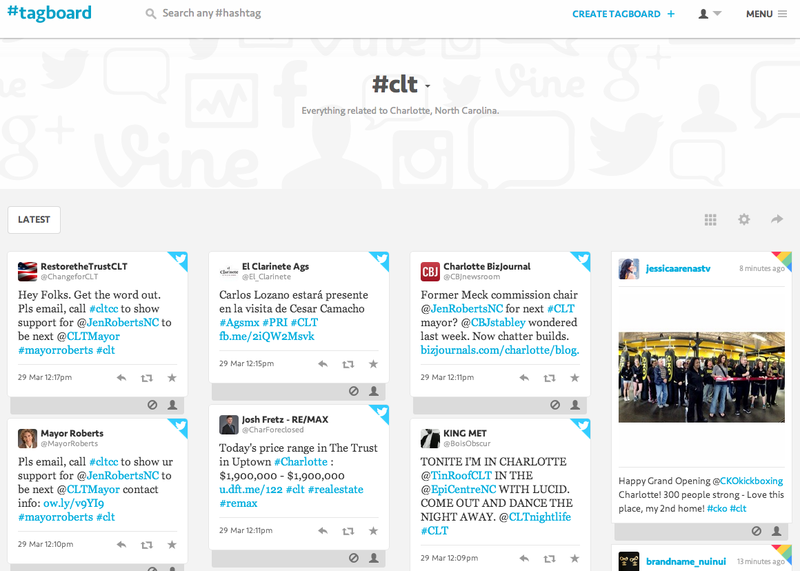 You can also create your own shareable Tagboards, with a description, avatar and cover image of your choosing. Calendly takes the stress out of scheduling a meeting. It connects with Google Calendar and gives you a link to send people to check your availability and set up a meeting. This is much easier than sending a bunch of emails to check each other’s open dates and times. Need marketing help? Book at time to talk to me at calendly.com/brandonuttley. As a freelancer, have you struggled to figure out your financial goals, much less track them easily? Then Harpoon may be perfect for you. When do I schedule my next project? Should I be making more money this quarter? Am I on track to meet my yearly goal? Should I speed things up? When can I take a vacation? Is it time to raise my rates? It comes with a lot of pretty and powerful dashboards to help you take control of your financial projections. You can also use it to track your time and invoice clients. Do you own your own business? Do you sometime sweat bullets while you’re waiting on an invoice to be paid? This is a common problem, particularly for small firms. Now you can use Fundbox to get paid fast. When you know the amount you need, enter it in the Fundbox calculator atwww.fundbox.com. They will determine a set “clearing fee” you will pay back (on top of your initial invoice amount) over 12 weekly installments. If you pay it off early, you’ll save money. And as you build your history with Fundbox, the clearing fee will decrease. As an example, let’s say you have an outstanding check for $5,000. The minimum clearing fee for three months is $243, and the maximum is $343. Fundbox will advance you the $5,000, and when your client pays you, you will pay Fundbox $5,000 plus the clearing fee that is currently due. 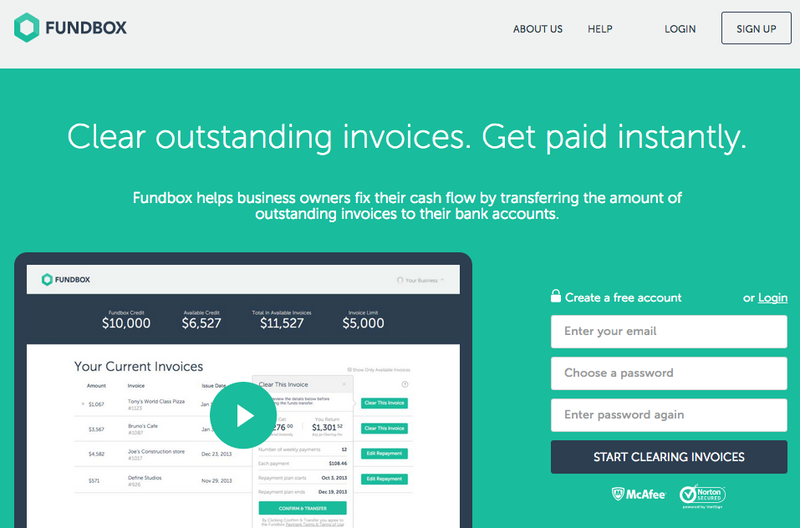 For those times when you really, really need the money (and the client is stalling), Fundbox could be a lifesaver. Want to know when something important to you (or your business) appears online?TalkWalkerAlerts is a great alternative to Google Alerts. I’m impressed with this tool, which sends me better results than I typically get from Google Alerts. To make it easy to switch, you can import your existing Google Alerts. 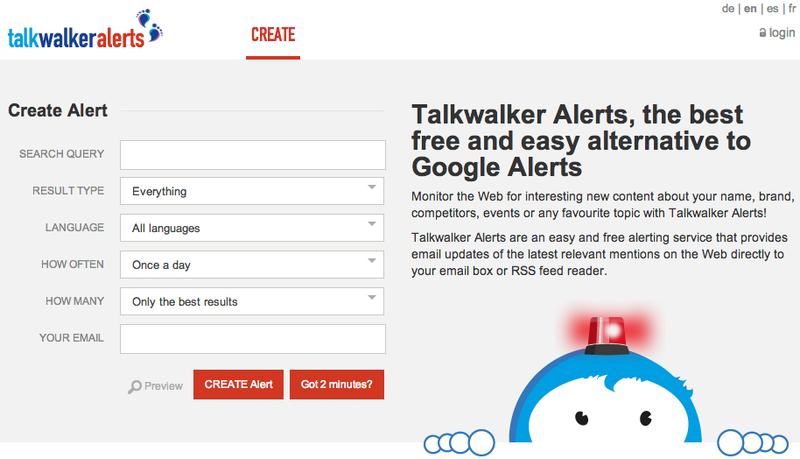 When you create new alerts in TalkWalker, you can subscribe to email alerts or RSS feeds for your searches. 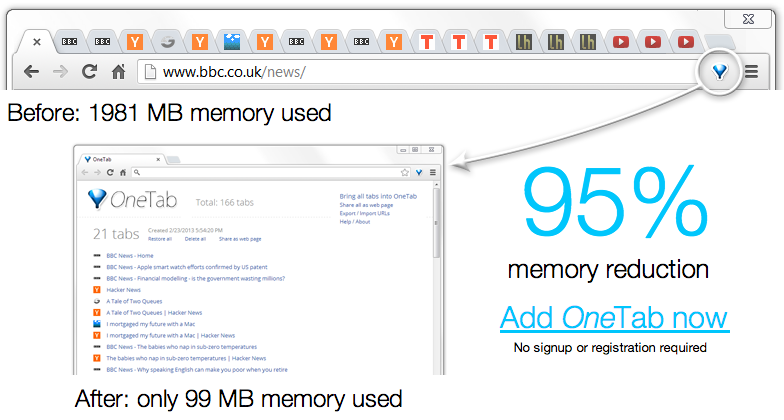 I love using Chrome as my primary browser, but it is a memory hog. I often find myself with too many tabs open, and Chrome grinds to a halt. However, I hate to close tabs for fear of losing track of something. OneTab solves this dilemma—making it easy to consolidate a bunch of tabs into one. Clicking on the OneTab icon instantly converts all of your open tabs into a list, which you can name. When you need to access those specific tabs again, you can either restore them individually or all at once. Using OneTab saves up to 95% of memory in Chrome. I love that you can save multiple “lists” of sites and restore them easily—or even share a link to them with someone else. You can also come back and edits your lists.